Becoming the designated driver for the night is something we all dread, but it happens a handful in our life. Whether you’re on some medication which results in you not being able to drink, or you’ve got an early get up in the morning or (the most common reason) you’re absolutely skint, there comes a time where you step forward and help out your fellow friends. 1. Do I charge them petrol money? This is the biggest question of the night. They’re your friends so technically you shouldn’t take their money – but on the other hand, you’re moody and are having to put up with their loud and irritating voices so you should really be getting paid for this. The worst thing about being the designated driver – seeing other people having the time of their lives whilst you’re stone cold sober. It’s not fun. 3. Why do I even hang out with these people? All you can hear is conversations which make no sense, your best friend telling you how much you mean to them and well, there’s always one emotional one crying about their relationship from over 3 years ago. All you can think to yourself is ‘why on earth do I hang out with these people?’. You’re being a decent human being by doing this solid favour for them, but they repay you by messing with your music. You should never mess with someone’s music, especially if they’re sober and moody. Basically. What more is there to say on the matter? It’s about -5 degrees outside, they probably can’t feel it because all they can feel is the vodka – but you’re the driver, you’re cold and this is your car. You’re trying to drop them off in a very busy town centre, there are hundreds of people walking in front of the car without a care in the world – but instead they cover your face. Great. 8. I wish you wouldn’t kiss in my car – there’s a time and a place and my backseat definitely isn’t the time nor the place. In every friendship group, there’s a couple. A couple who have never heard of the word ‘privacy’. They are your friends, so as a friend, they shouldn’t be putting you through this. Every single move they make and every single word they say is more annoying than a constant itch. These people can’t even speak properly, simple words turn into the hardest words and by this point they need to get out of the car before you react in way you’ve never reacted before. There we have it. You’re never doing this again. Have your friends ruined your upholstery from chundering and spilling? Check out the range of cars available for personal use. Whether you want a Toyota, Ford or maybe even a Mercedes, there are a range of personal use car leasing deals available for you. Getting a new car is such an exciting process but having the burden of insurance on your back can really dampen the mood. Once you’ve found the car you want (you can do this by checking out some of the best car leasing deals), it’s time to get quoted on insurance. If you read below, there are a few factors in which can potentially bring that hefty price back down to a figure which is bearable. The excitement of getting a new car may be way too much to handle, but slow down and shop around! The worst thing you could do is choose the first price you come across – it might be the most expensive. Make sure you look and speak to a range of different companies in order to get the lowest price you possibly can. The difference can be amazing. It’s a well-known fact that this is one of the best ways to keep that insurance figure to a minimum. If you’ve have a minor accident, it’s best for you to pay for this yourself rather than claiming – you’ll thank yourself in the future. The main aim when driving is to keep your no-claims for as long as you can and it’ll be sure to benefit you in more ways than one – including your insurance. When adding a second or even a third driver, make sure they’re experienced as this will bring down the cost of your insurance (it doesn’t matter if they don’t use the car often). Avoid adding inexperienced drivers as this will do you no favours and will send the cost sky high. Job description – tweak tweak tweak! This part is possibly the most important part in terms of getting that low insurance price. A good example of this is that ‘Music teachers’ pay up to nearly £90 more than just a ‘Teacher’. £90 may not seem a lot but it all adds up and of course, every little helps when it comes to your insurance. There are a handful of jobs which are seen as ‘high risk’ and ‘low risk’ in which you may have to prepare to pay a hefty amount OR try and tweak! This is possibly the most dreaded part of trying to get your insurance ticked off and out of the way. Paying monthly may seem like the easier option but APR plays a big part in this. Depending on where you shop, the APR varies but it always ends up being more expensive than paying the insurance in a big bulk. It may be painful to save, but it’s completely worth it! There are a range of different things you can do to show that you’re not a competitive or reckless driver. This includes taking a Pass Plus test or getting a Black Box fitted. Once you’ve completed these, your insurance will be a lower. Cheap car leasing is available and is the perfect match for that low insurance quote. We throw the words ‘car leasing’ around so much more than we used to. This American way of driving your dream car for cheap monthly payments is now making it big in the UK – but why? What is leasing actually all about and how does it help the customer? There are so many unanswered questions regarding leasing, which makes the whole process way more confusing than it has to be, but once they’ve been answered, you’ll realise that the whole leasing process really isn’t as daunting as people make it out to be. With each option, you’re able to choose the length of your contract, whether it be 24 months or 60 months – whichever suits you best. At the end of the contract, you can either decide to own, swap or return the car, the world of leasing is all down to you and your needs. Check out the below, courtesy of Hippo Leasing. There are a range of different lease deals available for a variety of cars, from small city cars to larger executive saloons. If you find the ideal car for you, check out the personal car leasing deals available – this way you’ll be able to drive the car you love for a lot less per month. Car Leasing: What are the Benefits? There’s an ongoing argument when it comes to leasing vs buying a car, but really the winner is all down to a matter of opinion. Leasing is undeniably becoming the most popular way of driving a newer car than your current car, which is great for businesses who want to give themselves the professional look they portray themselves to have. There are a range of makes and models available to lease, including vehicles from Vauxhall, Toyota, BMW and Audi, along with hundreds more. The lease deals often require a deposit but zero deposit deals are available too as well as bad credit car leasing deals. There are a few different paths to take with the Personal or Business being the first choice to choose from in which you can either swap, return or buy the car at the end of the contract. – PCP/BCP (Personal/Business Contract Purchase): With this contract, a deposit is necessary at first and then you pay the fixed monthly payments. Towards the end of the deal, you get the choice on whether you would like to pay the balloon payment, in which the car then becomes your own. Personal car leasing in the UK is becoming more popular for a reason, check out some deals which are available. – PCH/BCH (Personal/Business Contract Hire): This is one of the most popular paths to choose in terms of leasing. You’re able to pay the fixed monthly payments and a deposit of your choice in which you just hand back the vehicle at the end. – Hire Purchase: There are three different options you can choose at the end of this contract including ownership, return or upgrade. The monthly payments act as if you’re paying off the value of the car, it’s as simple as that. – Lease Purchase: A Lease Purchase has the same idea as a PCP agreement but instead of the balloon payment being an option, it’s compulsory. Liking the sound of leasing as a potential way of getting a new car? Check out its advantages by Hippo Leasing. Summer is here and what better way than to spend your holidays driving to the best destinations. We get it, we can’t plan your holidays for you, but we can certainly help! First up, we have the Lake District. The Lake District is the UK’s top tourist destinations situated on the West Coast of Cumbria, only 35 minutes from the M6. We’d say it’s perfect for, well, almost everyone. The Lake District offers great scenery and various activities, making it enjoyable for the whole family. A popular destination in the Lakes is the National Park, they offer different activities like boat trips, rock climbing and family fun days all at affordable prices. Cornwall is located in the South-Western tip of Great Britain, offering gorgeous beaches and many different landscapes. One of our favourite destinations has to be Cornwall, simply because of its beautiful scenery and unique attractions. This is another destination you will never get bored of, they offer interesting museums or even surf schools, meaning you’re spoiled for choice! Cornwall covers all aspects for a perfect holiday with family and friends. The best thing about Edinburgh is its quirky features and natural beauty. Edinburgh is packed with historical attractions, from its world famous castle to its palace. It’s safe to say, there is always something interesting to do. If you love to cruise, then Edinburgh offer a range of different touring trails which highlight the very best of the areas scenery. Again, Edinburgh is a destination excellent for all ages. If you appreciate historical features and out of the ordinary scenery, then Edinburgh is definitely the place for you! The York Moors may not be one of the best known national parks, but the area includes some astonishingly beautiful scenery, including dramatic sea cliffs and hidden valleys. How about starting your trip with some shopping and maybe a bite to eat in Leeds City centre? Then jump on the A64 towards York and Malton. Only 15 miles from York you can stop by Castle Howard, which is one of the grandest mansions in Britain. Only a 30-minute drive away from the North York Moors National Park, is Flamingo Land. If you love the thrill of theme parks rides or even have a passion for animals, then Flamingo Land is definitely worth a visit. If you’ve never heard of it, Flamingo Land is a Theme Park, Zoo and Conservation, making it a crowd pleaser! Last but definitely not least we have the Cheddar Gorge. If you’d like to visit the West Country, but don’t fancy driving right out into the sticks, then you could try having a road trip through Cheddar Gorge. Known for its characteristic local cider, the Cheddar Gorge is packed with different tourist attractions also, it’s not far from Bristol which broadens your horizons to more things to do. Explore Britain’s biggest gorge from the dramatic cliffs to the stunning caverns. This world-famous site is an area of outstanding natural beauty, revealing many interesting stories of the prehistoric ancestors. There is also a centre which offers caving and rock climbing. A great day out for families, nature lovers and outdoor adventurers. If you wish to visit any of these places, then a car is the best and most fun way to get there. Best way to get a car in through private car leasing as it allows you to choose a car and get one through monthly payments that are simple to budget. Car leasing is an excellent way of getting a car and taking it on holiday to amazing places like these. Chevrolet launched the Spark to replace the Chevrolet Matiz and it was a vast improvement on its predecessor. The exterior styling was fully updated and modern with a more angular design making it very much stand out on the road. It is also a 5-door car, making it easy for passengers to get in and out. The Chevrolet Spark has a range of petrol engines available to make this little city car great for everyone. The base model is a 1.0-litre 4-cylinder petrol engine as well as a 5-speed manual gearbox. It is able to accelerate from 0-60 in seconds and has a top speed of 94 mph – perfect for a small city car. When it comes to running costs, the Spark a combined fuel economy of 56.5 mpg. However as this is a city car and is designed for use in the city, the Spark develops an urban economy of 42.8 mpg. If you were tempted to take it out of the city environment, then it would deliver an extra urban fuel economy of 68.9 mpg. There is another Spark model that is very similar with the simple addition of air-conditioning. A more improved model is the Spark LT with a 1.2-litre petrol engine with 5-speed gearbox. With a slightly more powerful engine, this Spark has a top speed of 102 mph. It can also accelerate from 0-60 in 12.7 seconds. Again with regards to running costs, it can deliver an urban fuel economy of 42.8 mpg, which as a city car should be a main concern. However, its extra urban running costs are 68.9 mpg and combined fuel economy is 56.5 mpg. Chevrolet Spark comes with 5 seats that supply plenty of space for the driver and passenger in front, with adequate if not slightly cramped space in the back. It has enough space for parents and their children to use in the city with regards to space. The driver’s seat is height adjustable and all round visibility is good. The Spark’s dashboard is well set out and uncluttered, making it very user-friendly. The LT and LTZ models both have adjustable steering wheels to ensure you can get the best driving position. With regards to boot space, the Spark has 170-litres with the rear seats up, but if you drop them then that increases to 568-litres. When it comes to handling, the Chevrolet Spark performs well with easy handling at both slow speeds and motorway speeds. The suspension also soaks up most of the bumps in the road in order to ensure a comfortable ride. Chevrolet Sparks are a great little city car that should be taken into account when considering buying or getting a car lease deal. It can offer so much for a small family or a first time driver for a city car. If you are seriously looking into leasing cars in the UK, then check out the Chevrolet Spark. Volkswagen Polo is to the Golf what the Fiesta is to the Focus and the Corsa is to the Astra. The perfect smaller stablemate that embodies everything its big brother has to offer in smaller proportions. If you are ever considering a small hatchback supermini, then the Polo has to be in your considerations alongside the Fiesta and Corsa. Volkswagen has given its Polo a variety of different petrol and diesel cars. With its petrol engine, it starts with a 1.0-litre S petrol engine that produces 60 bhp and can go from 0-60 in 15.5 seconds. Economically, this engine produces 60.1 MPG. This model is the cheap to run model thanks to its low fuel economy, road tax at only £20. From this base model, the engines only get bigger, including 1.2, 1.4 and 1.8-litre models. There is another 1.0-litre model that delivers 75 bhp, which allows to it be quicker from 0-60 in 14.30 seconds and a top speed of 107 MPH. The road tax for this model is still £20 and with a fuel economy of 58.9 mpg, this might be the better 1.0-litre model. Under the GTI models, the most powerful engine is the 1.4-litre four-cylinder engine that develops 150 bhp and accelerates from 0-60 in 7.6 seconds. Pretty impressive for a small hatchback. And like its smaller engine models, this model delivers 58.9 MPG and still only has a road tax of £20. Volkswagen has always been known for its high quality interiors and with the Polo it delivers this in bundles. The build is strong and stable, while the interiors material is of a high quality equal to that of an Audi A1. The interior is also very easy to use with all the buttons being exactly where they should be and are easily understood. When it comes to the infotainment system, the Polo does not disappoint either. It comes with a 5-inch touchscreen, which pairs with Bluetooth or USB connection and you can upgrade to a 6.5-inch screen with sat-nav for an extra £700. When it comes to passenger space, which is pretty essential in a hatchback of any size, the Polo has enough space for four grown adults with the headroom and legroom to match. So that there is no worry for the tallest of passengers. For the driver, their seat is fully adjustable, meaning the driver can be sat in any position that is comfortable for them. The steering wheel is also adjustable to match in order to create the perfect driving position. Boot capacity in the Polo is 280-litres and if you lower the seats, this increases to 952-litres. As with all quality, small hatchback supermini, ride comfort and easy to drive are a priority and that is why you should really consider the Polo. It is a safe, stable ride with large reserves of grip and has the security of a larger car when on the move. The steering feels nicely weighted so that you can place the car easily when driving on urban streets or country roads. Vehicle leasing is a great way of getting cars like the Volkswagen Polo on the road with you behind the wheel. If you are looking for a great car like the VW Polo, then check out our best car lease deals and see if we can get a deal for you. The Best Everyday Car To Lease Is…? This question all relies on what you do every day and that will decide what car is best for you. Car leasing is great because every kind of car is available on leasing for such a low monthly cost and even if you have bad credit or don’t want to put a deposit down, you can still get a car. But what car is best for what situation? The saloon is a great car for both business, pleasure and for family outings. The Skoda Octavia is a high quality saloon that delivers on all counts. It has a large, comfy and rather classy interior cabin which is great for any saloon, but the Octavia is well known for having one of the most spacious ones on the market. Other saloons can charge you more for optional extras, but the Octavia is very generous with its standard equipment, meaning you don’t have to folk out more if you do not want to. Saloons also need to have large boot capacity and the Octavia has the capacity for 1580-litre, which is great for business and family use. The Octavia is also very cheap to run with a fuel economy of 44.1-80.7 mpg, meaning you could be saving more on fuel bills. Skoda is on a roll. The Citigo is a well-priced, excellent small car that is particularly good if you simply drive in the city. It is cheaper than many of its rivals, but doesn’t lose any of the quality that allows it to challenge them for the City Car crown. For such a small car, the cabin is very spacious and comfortable, even for the tallest of people. The engine is rather economical, delivering 62.8-68.9 mpg and it also delivers a fantastic drive as well with regards to speed and overall comfort and smoothness. The boot space for the Citigo also isn’t too bad for a city car, delivering 959-litres of boot capacity. The SUV or sports utility vehicle is usually a 4.4 vehicle that can drive on and off the road. The small SUV is a great city version that can be taken off road when needed. The Kia Sportage is a fine example of a small SUV. It is a great family car that has a spacious interior with practical equipment and a smooth engine. The boot capacity in the Kia is 1492-litres meaning you can fit anything you want in the back. For an SUV, the Kia Sportage has fantastic fuel economy, developing 37.2-61.4 mpg. It can reach speeds of 126 MPH and can accelerate from 0-60 in 9.5 seconds. This Kia Sportage is a great challenger to the remaining small SUVs in its class. If you are looking for a more expensive, but also high quality car, then the Audi A3 is a perfect car to choose. It looks sleek, refined and beautiful and has a quality interior made with high-quality materials to match. The equipment inside is great for everyday use and the boot space has a very practical capacity of 1220-litres. The A3 also has very low running costs thanks to its fuel economy of 176.6-74.3mpg, meaning it is one of the most fuel efficient cars on the road. The greenest model of the car that has 176.6mpg develops 150 bhp and can accelerate from 0-60 in 7.6 seconds. The fastest model reaches a top speed of 155 MPH and can sprint from 0-60 in 4.8 seconds. When it comes to choosing a car, it is important to consider exactly what your needs are and how your car can serve those needs. Car leasing is an easy way to do that because there is a car for every need available to lease. If you are looking to lease cars, then Cheap Car Leasing is here to help you get the right car for you to lease. Getting a great car on a cheap car lease deal is what we do best, so here are some of the best cars on the road for between £200-250 per month. These cars are from the best car manufacturers in the world and offer great drives and luxury interiors for a fantastic monthly payment without a deposit and for those with bad credit. The Audi A3 is rated 5-stars in so many different reviews and is known for being a beautifully built and refined car that delivers on great low running costs. It has a variety of different models but all have quality interiors, made up of top of the range materials and spacious leg and head room for everyone. The boot space also delivers a fantastic 1220 litres of space capacity. The A3 aren’t slow either accelerating from 0-60 in under 10 seconds and have a variety of top speeds up to 162 MPH. Audi has made their A3 a serious contender when it comes to fuel economy with the A3 delivering 74.3-176.7 mpg, meaning the running costs for this car are very low. The Mercedes A-Class has evolved from a box hatchback into a premium hatchback speedster with a stylish exterior and interior made from fantastic high-quality materials. The available engines are also very efficient, delivering a fuel economy of 40.9-80.7 mpg. It isn’t a slow car either going from 0-60 in 9.2 seconds and hitting a top speed of 126 MPH. If you are looking for a quick, stylish and spacious car then the A-Class is the hatchback for you starting between £200-250 per month. If you want to upgrade from hatchback to executive saloon, then the Mercedes C-Class is the car to aim for. The C-Class is top of its own class thanks to its superb interior quality and stylish exterior that dominates the road. It is very spacious for passengers and driver; however, it only has a boot capacity of 335 litres. The C-Class is highly fuel efficient delivering a fuel economy of 78.5-134.5 mpg. The C-Class also sprints from 0-60 in 7.5 seconds and has a top speed of 147 MPH. It has a smooth ride, especially for higher speeds on the motorway, this car will deliver exactly what you need. The BMW 1-Series is one of the best premium hatchbacks on the market and for good reason, which makes its pricing starting between £200-250 look like a bargain. If you want an all-round top performer, then the 1-Series is your car. The ride is very comfy with a good performance in handling and speed. It delivers a fuel efficiency of 35.3-83.1 mpg and also have a large capacity boot with 1200 litres. The 1-Series also accelerates from 0-60 in 11.2 seconds and can hit a top speed of 121 MPH, but with higher models this can only increase. If you are interested in a personal car leasing deal, then these cars are well worth a consideration. If you have bad credit or don’t wish to pay a deposit, but want a premium car then check out each of these cars and see which one is best for you. Cheap car leasing is perfect for getting premium cars for a great monthly price. The facts about leasing are simple. Leasing a car is very much like leasing anything else in that you set down a deposit and then pay a monthly amount for an agreed period of time to use the car. Once the contract has ended the car is returned to the leasing company. This usually requires the customer to pay a deposit amount of 3-9 months’ worth of payments dependent upon the make and model of the car chosen and then you pay the agreed monthly costs. However, there are leasing agreements that don’t necessarily need a deposit, making it easier for customers who don’t have enough for a deposit to lease a car. Leasing agreements usually run between 2-4 years and the length of the agreement almost always depends entirely on the customer. If you are interested in leasing, you have to decide what sort of car you want, how long you wish to keep that car for, but also how long you wish to go before replacing it with a brand new car. So if you are that sort of person who wants the newest model every two years, maybe try and avoid a 4 year leasing deal. The cost of the leasing deals also depends upon how many miles you estimate you will do annually throughout the agreement. Now this may tempt a few to try and lowball the mileage they will claim. Caution against this because if you go over your stated mileage, you will be charged extra per mile. At the end of a leasing agreement you have two options. The first is that you can contact your leasing company and request that you can extend the lease. This is not always possible, but if you very much like the car, it might be very much worth a try. The second is that you have to hand back the car. With a leasing agreement, you will never be able to own the car. There is no option like with many finance agreements to purchase the car at the end of the agreement. The most popular types of leasing deals are personal car leasing deals because of how they help people balance their budgets easier. Cheap car leasing has also become more popular thanks to the zero deposit agreements and agreements that help out those with bad credit. This means that there is usually a leasing agreement that can be tailored to almost everyone’s finances as long as they can afford the monthly payments. How Does Car Leasing Work? Car sales are on the rise and have been for several years now, but in America one in four cars is owned through personal leasing and this trend is also on the rise here in the UK. But what exactly is car leasing and how does it work? Obviously with the cost of mobile phone bills, gym membership and other things now being paid on a monthly basis by the so called “direct debit generation”, the purchase of cars is also becoming a month on month arrangement with finance options on the majority of cars. Personal Contract Hire (PCH) is where, instead of buying a car either outright or on finance, you rent a car for a long period of time, usually up to between 2-4 years. At the end of the period, instead of buying the car or owning it, you return it to the leaser. When it comes to traditional ownership of a car, you have the risk of depreciation after a few years, meaning that when it comes to selling or part exchanging you are actually losing money on your car. With car leasing, you don’t have to worry about that because you simply hand the car back to the leaser and then you can either lease another car or you can go and buy a car. If you are looking for driving the newest model of a car, then leasing gives you that advantage to change your car more often and offers you Affordable monthly payments rather than having to save up to purchase a newer model. The deposits or down payments are very low or completely non-existent and the monthly payments are usually lower that loan or finance payments. Now if you have bad credit, then leasing is easier to get than a finance option, meaning it can give you a chance to drive a reliable car without having to buy a used car that may be at risk of breaking down. You don’t have to worry about taxing your leased vehicle as this is down to the leaser as they are still the registered owner of the car, so that does save you money overall. If you are looking for business car leasing, you can get a tax deduction for your business and you are leasing cars for your employees and business use. One of the main downsides of leasing depends entirely on your point of view. If you like to own things and you wish to ensure that your car is definitely ‘yours’ then leasing might not be for you. However as has already been said with the depreciation issue, why would you want to own something that is worth a fraction of what you originally paid for it when you can lease a car and not have to worry about that at all. Car leasing can be cheap because it takes into account the mileage you do annually, however if you go over your agreed amount, then there is a charge per mile you go over the agreed annual amount. If you want to exchange your leased car in for a newer or different model earlier then you may have to pay more for ending your agreement early. If you damage your leased car, there may be extra costs to you whereas if you own the car, it down to you whether you wish to fix the damage or live with it, but when it comes to a leased vehicle, you don’t have that option. If you are looking to lease a car, there are great cheap car leasing deals available. If you have a car in mind that you want, then we can help you get a great car leasing deal and you can drive away with the car of your choice. Cars are continually going up in popularity with more and more being bought each year. In 2015 there was a record breaking amount of new cars sold and 2016 is on its way to be even bigger. We’ve discovered the top five most popular cars in the UK so far this year. The list appears to have continued the trend of the most popular cars from last year. The most popular car in the UK is still, after many years, the Ford Fiesta having had around 44,000 registrations in 2016. Last year, Ford sold almost 125,500 Fiesta. This car is the king of the superminis and also holds the title of Britain’s favourite car overall. There are a variety of fantastic models to choose from including the favoured Fiesta ST model. Vauxhall Corsa takes second place with around 28,639 registrations so far this year. That’s just over half of how many the Fiesta has had so far. In 2015 the Corsa came second with 85,163 sold across the country. That’s around 40,000 less than how many the Fiesta sold, however it did outstrip number 3 by almost 7000 sales. The Ford Focus has been in the top 5 bestselling UK car for years and it is still retaining its third place position. So far this year the Focus has garnered 26,000 new registrations and last year Ford sold 78,834 Focus ensuring it is still one of the most popular cars in Britain. If the Golf ever leaves the top five, then someone catastrophic will have occurred. But for now it’s still in fourth place with 25,000 new registrations this year. Last year it was also in fourth place with almost 70,000 sold. The Nissan Qashqai has had an incredible start to the year with 23,140 registrations this year and looks like a serious contender when taking on the smaller hatchbacks. It has almost made up half the sales of the whole of last year so Nissan are on target for smashing last year out of the park. Nissan last year sold 57,565 Qashqai in 2015. If buying is beyond your financial situation, then why not consider leasing one of these amazing vehicles. Personal car leasing is simple and in many ways is great value for money compared with outright purchasing. Cheap car leasing is available on all these cars if you are interested. When it comes to getting a car, it can end up being quite expensive; even more so if you’re planning on buying outright or putting down a hefty deposit. Luckily, with no deposit car leasing, you can save yourself a lot of stress and money. We’ve had a look at the very cheapest of the cheap when it comes to car leasing, so you can save yourself even more money! 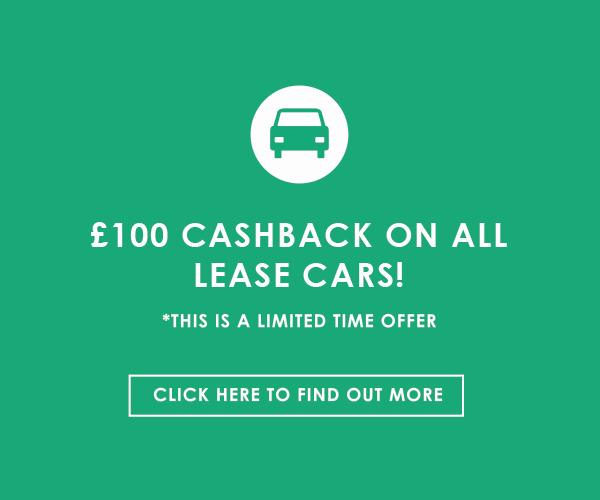 Remember, all of lease cars are available as zero deposit car leasing choices. For drivers who want to save money but still want a high-quality car, then the Up is the perfect choice. The Up is a superb city car that is remarkably cheap to run. From the cost of leasing, to virtually non-existent taxing, and low running costs, it’s the best choice for those on a tight budget. You’ll make even more savings too if you got for one of the BlueMotion Tech models, and road tax is completely free. The only downside for the Up is that it does struggle when you take it up to motorway speeds. Cruising around the city however, isn’t a problem at all. The Up is easy to drive, tackles corners confidently, and is super easy to park. Another contender for the best city car on the market (and one of the cheapest) is the Citigo. It shares a few physical aspects with the Seat Mii and Volkswagen Up, so you know it’s a high-quality vehicle. Incredibly refined and hugely practical, the Citigo is actually surprisingly spacious, given how small of a size it is. This wonderfully practical car has both 3 and 5 door versions available, both of which come with a nippy little 1 litre 3-cylinder engine, 59bhp and 74bhp respectively. On top of all these great points, the Citigo is incredibly cheap to run, and comes with bags of charisma and style. Another great little city that’s tonnes of fun to drive, is the Toyota Aygo. The great thing about the Aygo is its simplicity and high performance. So although it may be simple to drive, you still get all the quality of bigger and more expensive car. On top of this, it’s cheap to run and tax, so you’ll never have to stress about budget! You can save even more money by going for one of the mid-range trims which are cheaper, but don’t sacrifice too much of the equipment inside. The Aygo can get a little bumpy at times when driving along on uneven roads, and the steering is a bit heavy. But on the plus side it carries speed well into corners and handles itself very well, with a great amount of body control. If you’re looking for a little city car or a first-time driver car, then the Peugeot 107 should definitely be at the top of your list! Its funky and stylish good looks have the ability to brighten up any street, especially with all the customisable colours available. The Peugeot 107 is available to lease with a range of no deposit and poor credit car lease deals. The Peugeot 107 is a soft and simple drive, which handles bumps very well. It’s also is easy to navigate and is able to get you from A to B with nearly no problems, although overly long journeys should be avoided. It has a top speed of 98mph, but can get really noisy at higher speeds. The actual drive itself is enjoyable and fun, and is ideal for those who are looking for a reliable first car which is easy to park because of its small size. If you’re not after much, then the Peugeot 107 is the perfect car. This is one of the best things about the Peugeot 107. When it comes to running costs, it’s ridiculously cheap for tax, petrol, insurance and both buying and leasing. So you definitely won’t have to break the bank, and it’s the ideal car if you have a strict budget to stick to. The only downside when it comes to running the car is that there isn’t a diesel option. If you don’t want to buy the car outright and are worried about your credit history, the Peugeot 107 is available for a bad credit car lease. Keeping it simple, the Peugeot 107 has a very basic style, with an interior which isn’t over the top or complicated in the slightest. The seats are decently comfortable, which is great for longer journeys, and there’s enough leg and head room to get easily comfortable. Although it does lack a little space in the backseats. For such a small car, the interior and space is impressive, but it does lack some equipment as standard, which may be an issue if you’re comparing it to more well-equipped cars such as the Toyota Aygo and Citroen C1. There are many great points to owning a Peugeot 107. It’s a superb little runner, with wonderful body control and a decent amount of equipment. Like any car, it does have its fair share of downsides, which include the small size of the car, and a noisy rattle when driving at higher speeds. All in all, it’s a top car if you’re looking for something simple yet stylish. There’s nothing like a good old road trip to bring family and friends together, especially when the scenery is breath-taking. When it comes to seeing different wildlife, a mixture of terrains, and various attractions along the way, road trips and driving holidays can be the perfect getaway. First on our list is the Atlantic Ocean Road, which is situated within County Road 64 and is built on a bunch of little islands and skerries. The road is only 8.3km (5.2miles) long, but it’s definitely unlike any road you’ve ever driven on before. It features 8 exciting bridges with twists and turns, over brutal waves; this can be pretty scary but equally as amazing. If this isn’t enough, there’s a certain bridge which is perfect for a spot of fishing. The Great Ocean Road is a highway with a length of 243km (151miles), which opened in 1932. Starting in Torquay and finishing in Allansford, there’s a wide range of tourist attractions along the way, as well as accommodation, so a long stay should definitely be on the cards. If seeing rainforests with koala-filled trees is your idea of heaven, along with the best waves to surf and the cutest seaside towns, Australia’s Great Ocean Road is the ideal road trip for you. If you’re a lover of wildlife, this is definitely the road trip for you, as you have a chance to see grizzly bears, mountain goats, the lynx, bobcats, and many more. The 232km (144 miles) of highway which passes through the valleys, offers fascinating scenery throughout the journey, with Mistaya Canyon and Athabasca Falls being nearby. So there’s a great chance for you to take some amazing shots during an unforgettable day out. This is probably the world’s most famous road, which takes you from Illinois all the way to California. That’s over 3,945km (2,451 miles) of continuous road. Being one of the most well-known roads means there are also a lot of popular tourist destinations which come with the trip; and they definitely shouldn’t be missed out on. This includes, the Cadillac Ranch and the Painted Desert, which is a key place to visit with its classic Western landscape. The only problem with Route 66 is that it’s not actually featured on current roadmaps, but once you’re on the road, you’re set to go. The name kind of gives it away really. The Going to the Sun road is only 80km (50 miles) long, but with the rocky mountains, glacial lakes, forests and green scenery, its 50 miles keeps you wanting more. Of course there are various points of interest such as Lake McDonald and the Weeping Wall, which is great if you want to spend a little more time on this fantastic road. Looking for the perfect car to accompany you on an amazing road trip? Then you should definitely consider poor credit car leasing. Don’t worry if your credit isn’t perfect, because there are still plenty of options available to you with bad credit car leasing. The Volkswagen Up is the perfect, high quality, city car, with a sophisticated look and easy drive for those who regularly frequent the city. The Up takes an intelligent approach to driving, making it a highly appealing car, and a top contender against the likes of the VW Polo. The Volkswagen Up offers drivers a choice of two petrol engines; the 6-bhp and 75bhp. However, whichever version you decide to go for, you won’t be disappointed, as the Up always performs to its best, and is outstanding when in urban environments. The downside for the petrol options is that neither are overly brisk, and they struggle a little at motorway speeds. Accelerating within the city however, is no problem at all. The Up is known to be one of the safest cars on the market, which is heavily due to the clever safety feature systems which are installed. For example, the emergency braking system is incredibly useful at deterring accidents. The system works by reviewing the road in front of the car, and applying the brakes if the scanner senses an imminent collision. This super reliable city is also the choice to go for if you’re looking to save come cash, as it was voted third best for the lowest running costs. Despite the small size of the Up, there are plenty of customisation options available to drivers, which more than makes up for any lack of space. There are a wide range of colours and alloy wheels available, plus plenty of us personalisation options. Whichever you opt for, the Up still has a funky and innovative style, with its piano black finish on the interior which creates a sophisticated vibe. There are three main trim levels of the Volkswagen up, which all come with a decent amount of standard equipment included. Known for its strong resale value, the Up’s classiness is hard to beat, even with the Skoda Citigo and Seat Mii. Ultimately, the Up makes for an incredible city car, and is one of Volkswagen’s best-selling models. On the plus side, the Up is remarkably cheap to run too, especially on the BlueMotion Tech models. So if you’re look for savings and great economy, make sure you opt for a BlueMotion Tech version. CO2 emissions are also considerably low, which means free road tax. The Volkswagen Up is also available on a zero deposit car lease, so you can save even more money when car leasing in Blackburn. Not all of us have the luxury of paying out cash straight away for our dream car. However, leasing allows you to do this by hiring the vehicle of your choice for a fixed amount of time, between 12 and 48 months. One of the best things about leasing is that it’s a lot more organised financially, as payments are fixed monthly, which makes it a lot easier to budget for. Poor credit car leasing is available for those with bad credit, and zero deposit car lease deals are also an option. Either way, you’re able to drive away in the car you want for a great price. You can check out some of our cheapest car leasing deals below. When it comes to leasing a car you’ll be using every day, you need to make sure it’s practical and reliable. The Vauxhall Corsa does just this, and is an all-round cheap car, making it a great value for money. It has a decent amount of tech too, such as power steering, a CD player, and an anti-lock braking system. The Corsa is able to reach 60mph in only 13.9 seconds and has a top speed of 107mph. From £125.97 per month you can lease this perfect everyday car, which is a great money saver, combined with desirable comfort and great build quality. It’s all good and dandy if a car is cheap to lease, but if it then becomes expensive to run, you’ll be pouring money down the drain on fuel. Luckily, the Spark is the perfect example of a car that’s both cheap to lease, as well as being cheap to run. You can get the Spark from £87.97 per month. This little car is incredibly roomy and comfortable despite its small size, and can fit 4 adults in with no struggle. If you want to pay less, but still get high quality from your car, then look no further. The exterior of the Hyundai i20 features amazing looks, and is a wonderfully cheap and reliable car. In terms of practicality, the i20 is one of the best in its class, and the recent revamp of style means that the i20 is now more spacious and stylish than ever. It offers a truly comfortable and relaxed drive too. The Hyundai i20 is available on lease from only £139.97 and is perfect for a secure and stable drive with great style. When it comes to driving in the city, you’ve got to aim to keep it small, for those tiny and hard to find parking spaces. As well as the lack of spaces to park, city traffic can also be a killer, so being in a small car will always help when it comes to darting in and out of traffic. Being fun to drive and cheap to run is an essential for the city cars too, which is where car leasing come in. Zero deposit car leasing is a great option when it comes to getting yourself a new car, as it allows you to drive away in an almost new city car at the fraction of the cost of buying outright. The best thing about the Skoda Citigo is that it offers a lot more room than you would expect. It may be compact, but inside you can comfortably fit 4 people in with a good amount of leg room and an impressive amount of storage space. Keeping it cheap is always a priority, especially when you’re in the city, making the Citigo one of the top city cars, as it doesn’t break the bank and isn’t expensive at all to run. You can lease the Skoda Citigo Hatchback from £83.96 per month, which makes it our cheapest and most practical deal. Being fun to drive is also one of the key priorities of a car, even more so for a city car. The Volkswagen Up! ticks all boxes when it comes to being the perfect city car, as it offers the desired stylish look and is extremely cheap to run on a whole, as well having the same comfort levels of larger cars. The only down side with this little car is that it lacks boot space, but when it comes to a small car, that can be expected. Costing from £103.97 per month, you can be driving down the narrow streets with no struggle, financially and physically. When it comes to having good looks, the Peugeot 107 has exactly what you want, with its modern and cute design, this car will fit in with the city with no problem. Just like the other city cars, the 107 is one of the cheapest to run and only costs from £112.97 per month, which is a steal. If it’s a supple ride you’re craving, the 107 is ideal, with its fresh looking exterior and simple yet stylish interior; perfect for the city. The negatives when it comes to this little number, is the lack of storage space and equipment. Of course this is a common problem when it comes to little cars. If you’re looking for cheap city car leasing in Blackburn, get in touch! There are a few different options when it comes to getting a new car for yourself. Whether you want to branch out and get yourself something a little spontaneous, or you just want to stick with what you know, you’re able to do so and drive away with the perfect car with car leasing. If you’re worrying about having bad credit, we do offer bad credit car leasing as well as no deposit car leasing so there’s no need to worry! It’s a known struggle for those who crave the luxury of a car, but can’t actually afford one, especially when cars are vital to everyday life. Adding up the additional costs of day to day tasks on top of having a vehicle, has proved to be a difficult task. But this is where car leasing comes into the picture. Car leasing is also available if you have bad credit, so it’s not a huge deal if you’ve not got an excellent credit rate. We also have a zero deposit scheme too.